Late last year, this Editor noted that ‘the wind may finally be at the back of telehealth distribution and payment’. The expansion of telehealth access for privately issued Medicare Advantage (MA) plans, state-run Medicaid and CHIP (Children’s Health Insurance Plan) plan members, and this year’s Medicare Physician Fee Schedule, along with a limited expansion of telemedicine in the Value-Based Insurance Design (VBID) model for MA announced earlier this year by CMS, is a leading indicator that government is encouraging private insurers to pay doctors for these services, who in term will pay vendors for providing them. The Veterans Health Administration (VA) has historically been the largest user in the US of telehealth services (home telehealth, clinical video telehealth, store-and-forward). They are also a closed and relatively inflexible system (disclosure–this Editor worked for Viterion, a former RPM supplier to the VA). In 2017, under then Secretary David Shulkin (who left under a cloud, and not an IT one), there were hopes raised through the Anywhere to Anywhere VA Health Care Initiative. So the news released at the start of HIMSS’ annual meeting that veterans will be able to access their health data through Apple’s Health Records app on the iPhone, perhaps as early as this summer, was certainly an encouraging development. According to mHealth Intelligence, the key in enabling this integration and with other apps in the future is the Veterans Health Application Programming Interface (API), unveiled last year. But service providers face compliance hurdles when dealing with governmental entities, and they’re complex. There are Federal fraud, waste, and abuse statutes such as on referrals (Anti-Kickback, Stark Law on self-referral), state Corporate Practice of Medicine Doctrine statutes, and medical licensure requirements for telehealth practices. 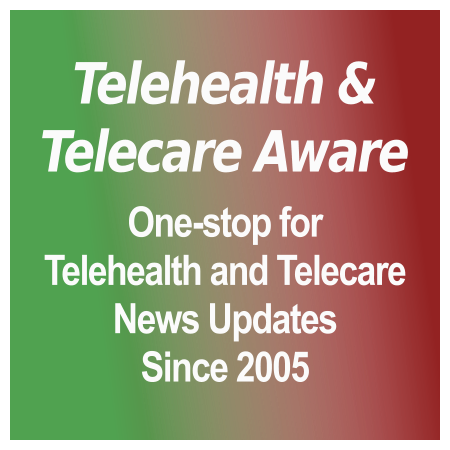 Telehealth: The Beginner’s Guide to Legal Pitfalls is a short essay on what can face a medical practice in telehealth. KinAptic (US), Agamon (Israel/UK), and Cyclica (Canada) are the three winners of Bayer’s 100 day G4A accelerator program. They now move to collaboration agreements with Bayer to further develop their products and services. The final three were picked from six who were awarded a 100-day intensive in Berlin from the end of August. They in turn were selected from over 1,800 competitors from 100 countries. All six represent an interesting spread of innovative companies that have developed specialized applications that can positively impact everyday patient health. KinAptic specializes in biometric wearables, including VR and sensor-based electrical stimulation, for several medical applications: stroke rehabilitation, pain mitigation, muscle re-education, fitness tracking, strength training, and tremor mitigation. KinAptic was one of the winners of MedStartr Momentum 2017 in NYC, which was co-sponsored by Bayer G4A. 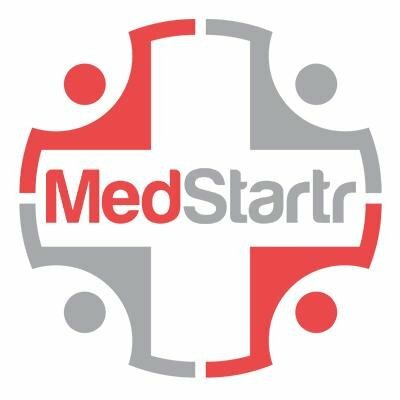 (TTA is a sponsor and supporter of MedStartr, including Momentum 2017). Agamon is a healthcare intelligence platform that collects, structures, and evaluates data to support clinical trial candidate identification out of unstructured medical reports. With Bayer, they plan to deploy their platform into two to three hospitals as a testing ground. Cyclica uses AI and biophysics to accelerate drug development. Specifically, they are developing algorithms based on biophysics to gain new insights into the polypharmacological profiles of small molecules and to expedite discovery of new medicines through structural pharmacogenomics. The three runners up were OME (personalized health coaching–UK), S-There Technologies (health data via urinalysis–ES), and Zencorlabs (AI for heart failure–DE). We look for more news from all six in the future. Hat tip to Joseph Curcio of KinAptic via LinkedIn. Bayer G4A announcements: winners and the accelerator program.